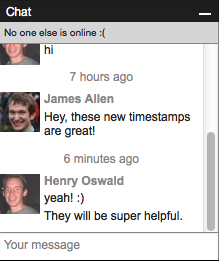 We have just deployed one of the most requested features recently, timestamps inside of chat. You can now see when someone last said something, hovering over a message will give you a full timestamp down to the second. Enjoy!